Why A Material Connection Puts Your Business On The Hook! If your business actually compensates endorsers or reviewers with cash, gift certificates, coupons, free products, etc. in exchange for their endorsements or positive reviews, this must be disclosed! The FTC is the watchdog agency over businesses engaged in interstate commerce including online businesses. The revised FTC guidelines state that if a connection exists between the maker/provider of some good or service and another person that provides a positive review or endorsement about such good or service that would materially affect the endorser’s credibility in the eyes of the reasonable consumer (i.e. a “material connection”), this connection must be disclosed. This applies if the endorser is either not known to the general public or is not held out to be an “expert”. The bottom line is that where it isn’t obvious or reasonably understood by the average consumer that an endorser has or will receive consideration for the endorsement or positive review, potential customers need to know about this. The FTC wants your potential customers aware of the fact the endorsements and/or positive reviews may be influenced by what they have or will receive in return, and potentially biased. Essentially, a “sponsored endorser” is any employee, affiliate, sales rep, paid marketer, etc., that makes an endorsement or positive review about any of your business’s products or services. There are some situations when a material connection is not so obvious. For instance, providing a commercial link exchange in return for an endorsement or providing free products to any endorser, in certain situations, may be considered as establishing a material connection. What it really boils down to is whether a reasonable person would view whatever is provided in exchange for an endorsement or testimonial as something that could potentially bias the endorser’s opinion. So, consumers who simply purchase a product and then praise it on your website without receiving anything in return does not establish a material connection. When in doubt, your business should disclose the nature of what it has provided to an endorser if there is any perceived value or benefit to that endorser. This would include any customer endorsements where you have provided free merchandise or services, gift certificates, cash, coupons, rebates or discounts, link exchanges, etc. in exchange for the endorsement. Direct Sellers-What to disclose & Where? Nothing in the FTC guidelines requires the disclosure to state specific material connection details, just that “the connection be fully disclosed.” The word “fully” should not be taken lightly, however. This does not mean simply using vague words such as “sponsored endorsement.” However, using the words “the endorser has been compensated for this endorsement” is sufficient. There is no required disclosure language you must use. There is no one size fits all type of disclosure. So long as the reader understands when reading the endorsement that a material connection exists, the disclosure will be effective. You could and should attempt to try a natural type approach. For instance, if an endorser says your product is great and you gave a free copy to him/her, you could say something like “here is what this customer had to say after we provided him with a free copy.” This is a natural, smooth way to effectively inform the customer that the endorser received a free product. The most effective placement of your disclosures is beneath or very near the actual endorsement. Audio endorsements should contain audio disclosures before or during the endorsement in the same cadence and volume as the endorsement. Video endorsements disclosures should be shown before or during the video. Using asterisks to indicate a disclosure, which is hidden, in very small font or nowhere near the endorsement is not likely going to notify the customer that a connection exists between the seller and endorser. You’re business is liable for Deceptive Claims By Any Sponsored Endorsers! 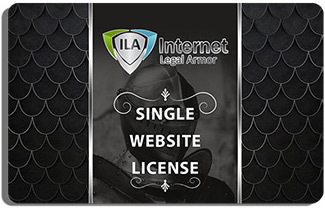 If your Internet business relies on affiliates, marketers or third-party blogs or other Internet forums to review and endorse/promote your products or services, you can incur liability for their deceptive advertising practices. The practice of providing reviews has become almost standard, both with direct-sale retail product sites and indirect referral sites. The revised guidelines make it clear that both the sponsor (seller) and any sponsored endorser (including any affiliates, bloggers, distributors, paid posters, resellers, podcasters, video producers, etc.) will each be liable for any deceptive endorsements or general claims made promoting your product or service. Your Internet business and any sponsored endorser will both be liable for: false, misleading, deceptive, or unsubstantiated statements made by the endorser, including failing to disclose the material connection between the endorser and your business. What the FTC does make clear is that by using this kind of third-party marketing, “the advertiser has assumed the risk that an endorser may fail to disclose a material connection or misrepresent a product, and the potential liability that accompanies that risk.” The fact you may have no control over the endorsement or third-party advertisement in irrelevant. So, basically you should train and inform your bloggers, affiliates and other endorsers about the FTC rules and should monitor all endorsement content too! The FTC wants to see that you have reasonable training and monitoring programs in order to not be held liable for rogue affiliates. At a minimum, you need to have a program in place to monitor what your affiliates are stating about your products and take action against anyone violating FTC laws. 1. Provide Guidance & Training: The FTC has stated that it will “consider the advertiser’s efforts to advise these endorsers of their responsibilities and to monitor their online behavior in determining what action, if any, would be warranted.” This means that you should provide guidance and training to your employees, bloggers and your affiliates about making statements that are “truthful and substantiated.” In other words, they need to know how to avoid deceptive claims and endorsements. They need to understand they are under an obligation not to make any misleading, false or unsubstantiated statements and they must disclose the material connection with your business. I would make each affiliate, marketer, employee, etc. signify that he/she has read the revised “FTC Guides Concerning the Use of Testimonials and Endorsements in Advertising” and pledge to comply with these requirements at all times. 2. Take Immediate Action: You should also take immediate action to stop any deceptive or misleading endorsements by one of your product endorsers. 3. Monitor Endorsements: Being proactive means you should monitor third-party endorsements. If you have a material connection, such as by providing a product in exchange for a review, you should monitor all statements about the product and promptly take corrective action if necessary. The FTC has stated that it will likely not bring an enforcement action against a business for the actions of a rogue employee when the business has taken steps to advise their employees of following FTC laws. There is no required frequency in which you are required to monitor your endorsements. Just be sure to do so frequently enough so that your monitoring efforts are viewed as reasonable by the FTC. 4. Have a Written Endorsement Policy: Your Internet business should develop a written policy containing rules and procedures for your employees, bloggers, affiliates, etc. You should have your bloggers and all other third-party endorsers enter into a written agreement reiterating these policies consistent with the revised FTC guidelines. (i.e. stick it in the affiliate/promotion agreement). I would also ensure you place a right to remove or demand removal of any endorsements should they violate these policies. Again, the FTC strongly considers the fact your business has such a policy in place and that you proactively follow it.